A 10-year search deal between Yahoo and Microsoft has a new opt-out provision that allows either company to terminate the agreement on or after Oct. 1. The agreement of December 2009 between the two companies allowed for termination under certain conditions, which were mainly linked to gross revenue per search targets. Under the amended search agreement, Yahoo or Microsoft can terminate the deal by delivering a written notice of termination to the other company. After that, the agreement will remain in effect for four months from the date of the termination notice to provide for a transition period, according to a filing by Yahoo to the U.S. Securities Exchange Commission. The two companies announced last week that they had amended their agreement to give Yahoo flexibility to enhance the search experience on any platform, since the partnership would now be non-exclusive for both desktop and mobile. Before the mid-term amendment, Microsoft was the exclusive provider to Yahoo of search results and paid search on personal computers for Yahoo’s online properties and services and for search services provided by Yahoo to its distribution network of third-party entities, though Microsoft was already a non-exclusive provider on mobile devices. Yahoo will, however, continue to serve Bing ads and search results for a majority of its desktop search traffic. 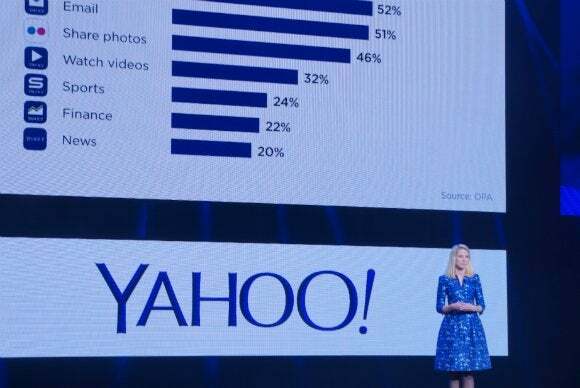 Starting May 1, Yahoo will request paid search results from Microsoft for 51 percent of its search queries originating from personal computers accessing Yahoo properties and affiliate sites, and will display only Microsoft’s paid search results on such search result pages, according to the filing. Under the amended agreement, Yahoo will now have the flexibility to respond to queries on both personal computers and mobile devices, and request from Microsoft search results only, paid listings only, or both search results and paid listings. “To the extent Yahoo requests algorithmic listings only or requests paid listings but elects not to display such paid listings, Yahoo will pay Microsoft serving costs but not a revenue share,” according to the filing. Under the 2009 agreement, Yahoo earned a share of revenue from Microsoft services on Yahoo properties and affiliate sites of 88 percent after deduction of affiliates’ share of revenue and Microsoft’s costs. It has now been increased to 93 percent before the deduction of the share of revenue of affiliate sites. The rate was amended to 90 percent in February.